Extant studies have established the relationship between person-organization fit and turnover intentions of employees. However, this article aims further to establish the role of employee engagement as a mediator between these variables. The sample used in the study consists of employees from Indian IT sector and data is analyzed with the help of correlation and regression analysis to test both direct and mediating effects. Results obtained confirm the partial role of employee engagement in mediating the above variables in context of Indian IT sector. The study confirms that person-organization fit affects the decision of employees to stay/not to stay with their organization and also that employees with higher levels of employee engagement would be less likely to leave their employer. Arguably, the only competitive advantage of an organization that cannot be duplicated by its competitors is its talented employees (Anitha, 2014; Sharma & Garg, 2017). However, due to emergence and growth of workforce diversity in recent decades, talent retention has turned into a global organizational challenge (Coetzee & Gunz, 2012). Because of its several direct and indirect costs, turnover intention has been given due importance in last couple of decades by the researchers in field of organizational behavior (Hassan et al., 2012). Where the financial implications reflects the direct costs for the organization; social capital, work negligence and overload are some of the indirect costs associated with it (Dess & Shaw, 2001; Mabindisa, 2013). 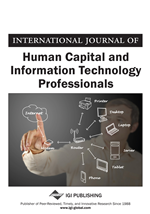 Although, employee turnover affects profitability of all types of industries/sector (Long, Thean, Ismail, & Jusoh, 2012), this issue is even more critical to Indian IT industry which faces huge employee turnover consistently year after year making talent retention as a difficult exercise for these companies. Growing evidence indicates a negative relationship between employee turnover intentions and how well fit the employee is with the organization (Liu, Liu & Hu, 2010). Naami (2011) defines Person-Organization fit as congruence between different attributes of the employees and the organization. According to a research conducted by Cable and Judge (1994), employees choose to prefer those organizations where their values are aligned with that of the organization. Hence, the importance of P-O fit cannot be neglected and its relationship with turnover intention is highly possible. The first objective of current research is to establish this relationship between P-O fit and turnover intention in Indian IT sector employees. Another contributing variable to the above discussion could be employee engagement. Employee engagement is basically an emotional, cognitive and physical involvement of an employee with the organization through job performance (Kahn, 1990). Bakker and Salanove (2006) define it as a positive fulfilling mind state of an employee that is attained through vigor, dedication and absorption. One of the major tools to retain talented employees in the organization is to promote employee engagement practices and therefore organizations should focus more on engaging then attracting employees (Mabindisa, 2013). In fact, both retention and engagement are considered as one of the biggest challenges faced by contemporary organizations (Bersin, 2014). Another direct advantage of having an engaged workforce is that it allows organization to remain competitive and successful for a very long term (Long et al., 2012). Indian IT sector in recent times has been one of the biggest contributors to country’s Gross Domestic Product (Sharma & Garg, 2017) but unfortunately not many recent studies attempts to study employee engagement or other related variables in a detailed manner (Bhatnagar, 2007). Hence, focusing on this paucity of research concerning person-organization fit and employee engagement as causing variables in IT industry, this study contributes significantly in filling this research gap. Current study enriches the current P-O fit literature by establishing employee engagement as an outcome. It will also enhance our understanding on the relationship between P-O fit and turnover intentions. The next part of the paper reviews the literature and formulation of hypotheses related to our study variables i.e. P-O fit, turnover intentions and mediating role of employee engagement. The third section explains the research methodology used in the study and measures employed in this research. The fourth and the subsequent final sections present the results, discussion, implications, limitations and conclusion of this study. Directions for future research are also given.